Note: Discontinued Style, limited stock remaining. 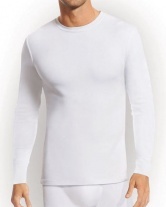 Thermal t-shirt from Jockey,soft and warm in cold conditions with double layer jersey in cotton / viscose blend that traps air for extra warmth. 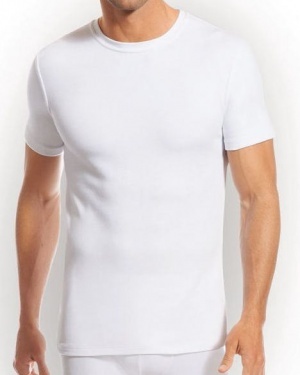 Brilliant garment, exactly what I was looking for my husband. would order again from this supplier. 25 of 34 people found this underwear review helpful. Superb garment - perfect as a vest during the cold weather, or a Tshirt for a work-out in a cold gym! Good value at the price. 59 of 113 people found this underwear review helpful. 62 of 105 people found this underwear review helpful. Couldn't ask for a better vest in this weather - absolutly spot on ... and the little muddle over the order was sorted out with speed, patience and no cost to me! No hesitation to purchase here again - or reccommend NeedUndies to anyone. 65 of 106 people found this underwear review helpful. Once again excellent service. Was not expecting such a fast delivery over Christmas but they were ordered and del in 3 days. 65 of 116 people found this underwear review helpful.